NEW DELHI (Reuters) - India's 2018 thermal coal imports rose at the fastest pace in four years, according to two industry sources, despite moves by Prime Minister Narendra Modi's government to cut imports in a bid to reduce its trade deficit. Coal is among the top five commodities imported by India, one of the world's largest consumers of coal, and the rise in imports of the fuel after two consecutive years of decline adds to its trade deficit. That trade gap has been hurting the valuation of the rupee, the worst performing major Asian currency in 2018. Thermal coal imports jumped 19 percent to 171.85 million tonnes in 2018, the highest since 2014, according to data from American Fuels & Natural Resources, a Dubai-based trader of U.S. origin coal. Thermal coal is mainly used to produce electricity. Imports of coking coal - which is mainly used in the manufacturing of steel - rose at the quickest rate since 2015, according to consultancy firm Wood Mackenzie and American Fuels & Natural Resources. India imported 52.26 million tonnes of coking coal in 2018, up 14 percent from 45.93 million tonnes in 2017, the data showed. The value of all coal imports for the year ended December 31, 2018 was 28.7 percent higher at 1.72 trillion Indian rupees ($24.25 billion) than it was a year earlier, according to government data from the coal and trade ministries reviewed by Reuters. Traders say coal imports grew largely due to restrictions on consumption of petroleum coke, a dirtier alternative to coal, in some parts of the country. "2018 was a booming year for coal imports in India, mostly on the back of demand from cement and small and medium-scale industries in India," said Puneet Gupta, founder of online coal and petcoke marketplace Coalshastra. "Higher demand was also fuelled by restrictions on the use of petcoke," he said. Petcoke consumption dropped about 15 percent in 2018, according to government data. 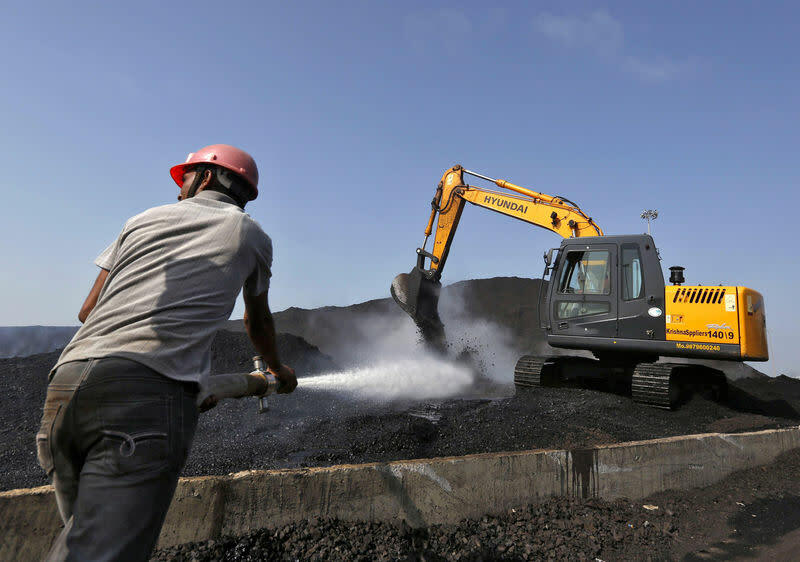 While higher coal imports may be bad news for India's trade deficit, they are a boon for international miners such as Indonesia's Adaro Energy, Australia's Whitehaven Coal, U.S, coal miner Peabody Energy Corp and global commodity merchants such as Glencore. Indonesia provided more than 61 percent of India's thermal coal imports, while South Africa accounted for 22 percent and the United States more than 7 percent. Imports of U.S. thermal coal, which burns better compared with Indonesian coal, almost doubled to 12.46 million tonnes in 2018, according to American Fuels. Cheaper coal from countries such as Indonesia are likely to be preferred by buyers in India in 2019, over better burning coal from the United States, due to lower freight costs, according to Ali Yasrab, director of Iman Resources, a UAE-based trader of U.S. origin coal. "If coal prices reach 2018 peak levels, U.S. coal will become popular in India again," Yasrab said. The ports of Mundra, Krishnapatnam and Kandla handled about 37.5 percent of all of the thermal coal imports, according to American Fuels. The Adani Group, which handles about a third of India's imported coal, said last year it expects a "reasonable rise in imports" till fiscal year 2021 due to "rail transportation challenges" affecting India's domestic coal industry. Analysts say they expect India to be a key market for global miners in 2019 as China's "war on pollution" will lead to lower demand from that country.